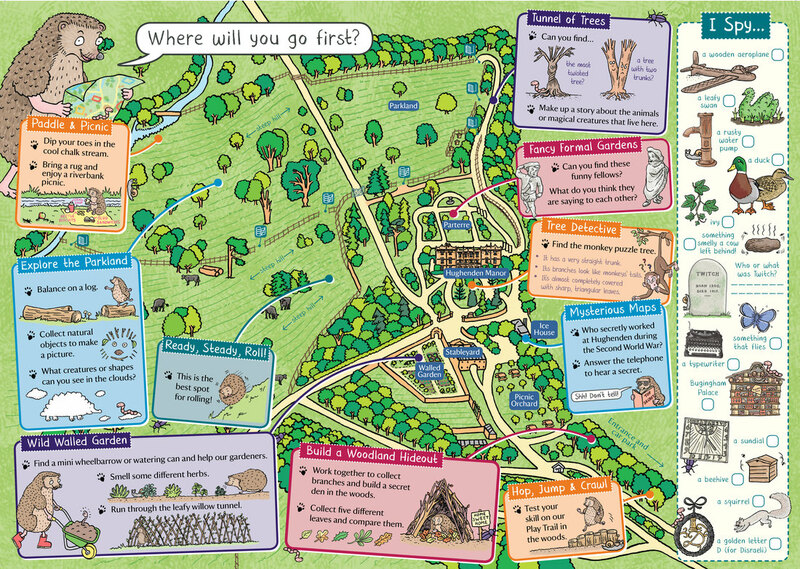 Children's illustrator and trail designer Emma Metcalfe was commissioned to devise and illustrate a bespoke children's trail map of the gardens and parkland at Hughenden, the former home of Benjamin Disraeli. The aim of the adventure map was to encourage families to explore the beautiful parkland, rather than just sticking close to the manor house. 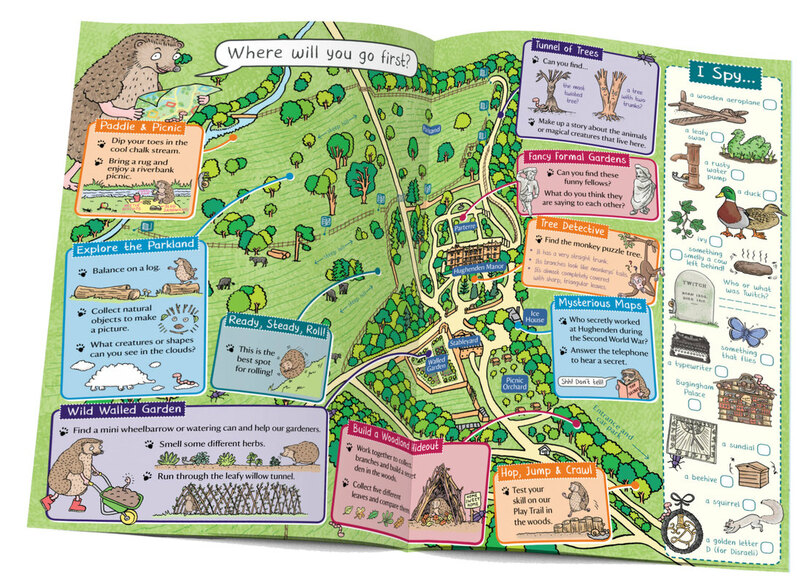 The leaflet is not a trail as such, but a prompt to encourage children to choose where to go and what to do. 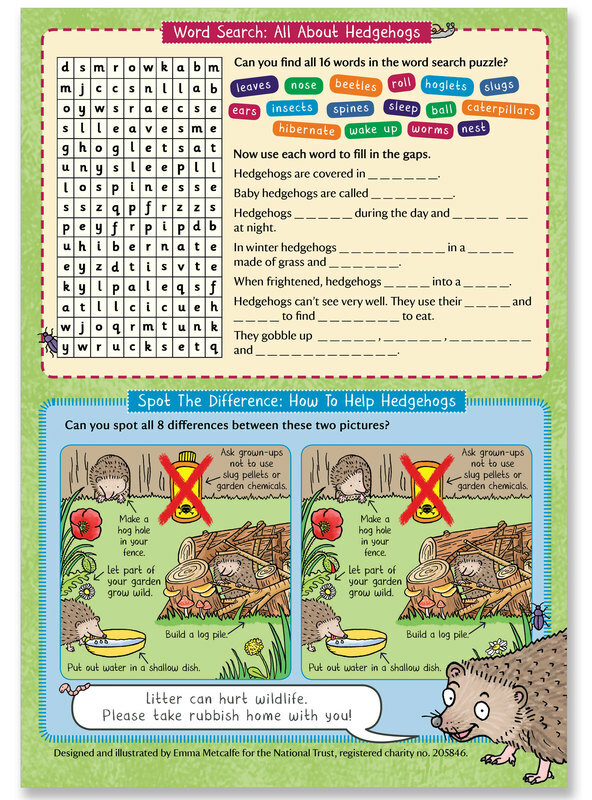 The activities are introduced by Holly the Hedgehog and there are some tips to help families help hedgehogs at home on the back. ​To make the most of the available space, the front cover design features some of the animals and birds which can be seen at Hughenden: see how many you can spot in the picture and during your day out! ​All artwork was drawn by hand with pen and ink and then colour added digitally. ​The finished family trail is a single sheet of A3 paper, folded once to A4. 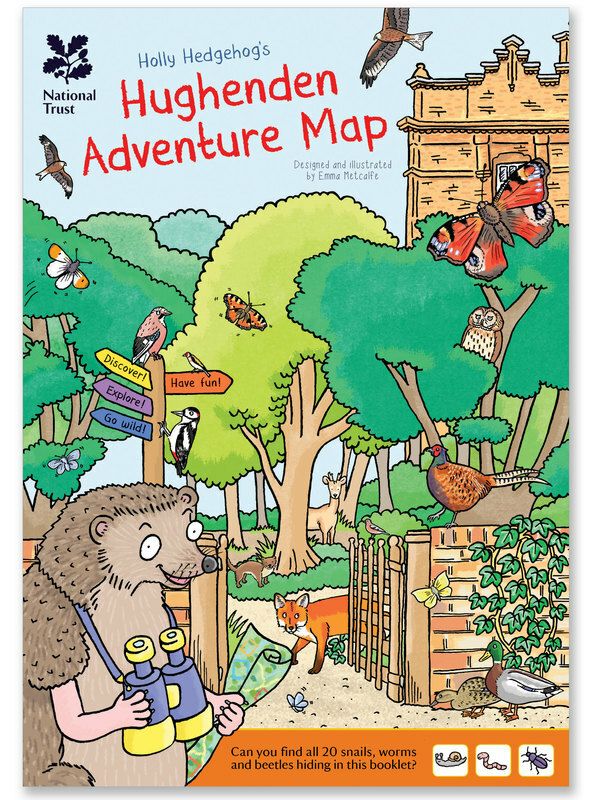 Holly Hedgehog's Hughenden Adventure Map will be available during Summer 2018 opening.